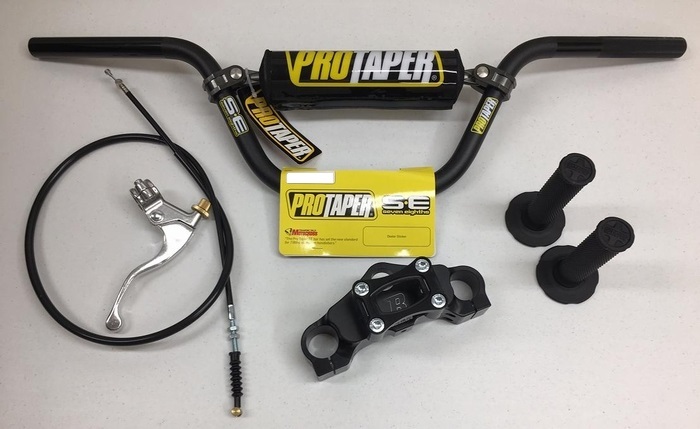 Kit includes: Billetware KLX110 Top Clamp, ProTaper Tall Bars, Extended Front Brake Cable, Brake Perch/Lever, and ProTaper Black all Diamond Grips. Same as shown in Picture. 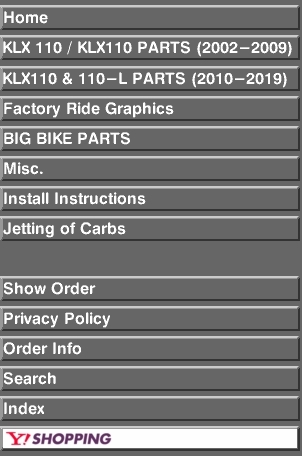 **** NOTE: The Pro Taper Handle Bars in the Kit are the XR50 bars, which 99% of all klx110 Kits include. ***** 28.5" width, 6.75" height, 1.75" pullback . 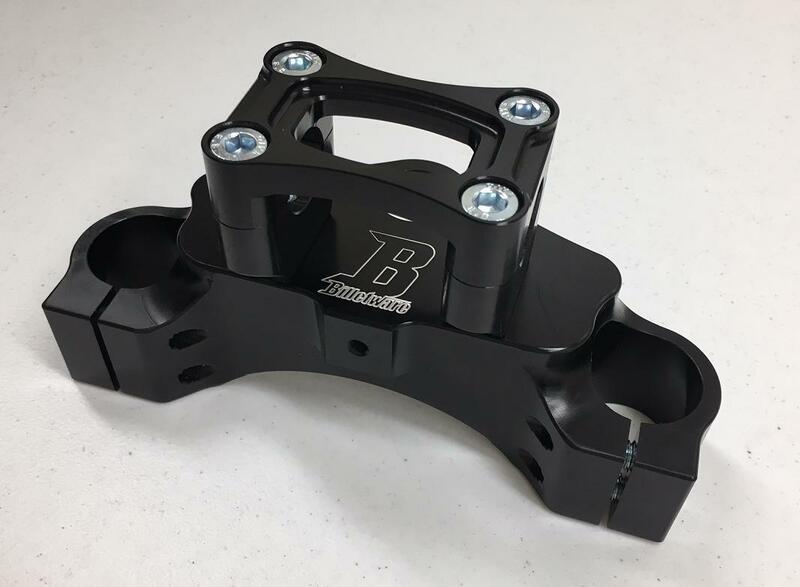 7/8" bar clamp diameter.